Brian and Ken Sellers talk about teeth the way they once talked about cabinets. 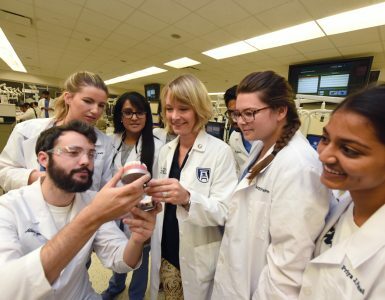 When the brothers, both seniors in the College of Dental Medicine, describe how their former careers as cabinet makers prepared them for dentistry, most listeners tend to fidget in their seats. “It makes them uncomfortable. They don’t want to think that building a cabinet is anything like fixing teeth, but they’re similar,” says Ken, who at 44 is the older of the two brothers, originally from Hazlehurst, Ga. Both professions require skillful hands and attention to detail, he explains. Both crafts beautifully meld form and function. “In each, you’ve got structural considerations and esthetic priorities. The form and function go hand in hand. It’s a bit of science and a bit of art. There’s a lot of overlap. You sand down composites with different grits, just like cabinets,” Ken says. Neither brother planned for a midlife career change. A devastating fire changed that. “We started Sellers Brothers Cabinet Co. together. It was our company. We built it up to 30 employees, set up a manufacturing plant, and did commercial and residential work all across the Southeast,” says Brian, 41. “The fire was devastating. We saw everything go down in a big blue heaping ball.” That was Oct. 31, 2009. The brothers later found out the fire was caused by an electrical short in a saw. Insurance money helped pay their debts, but without a shop, the brothers lost a major contract. They applied to the College of Dental Medicine and were accepted, enrolling in 2011. There was no question they would do it together, as brothers. There was also no question that GRU was the right school for them. “I am from Georgia. This is where I grew up. This is where I want to practice. This is where I’m going to raise my children. 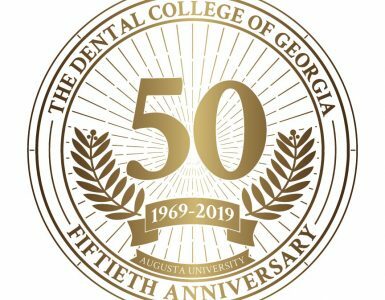 And this is a school that will make you an extremely good clinician,” says Ken, now a member of the College of Dental Medicine Admissions Committee. Both are better students this time around. Ken graduated with an English degree from the University of Georgia in 1993. Brian earned a marketing degree from Georgia Southern University in 1996. Others have been inspired by their story as well, they say. 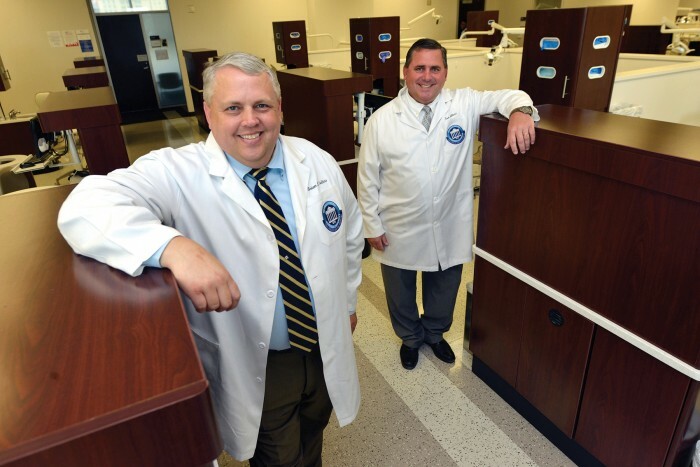 A couple of people have cited the brothers’ story as their inspiration for pursuing dental careers. 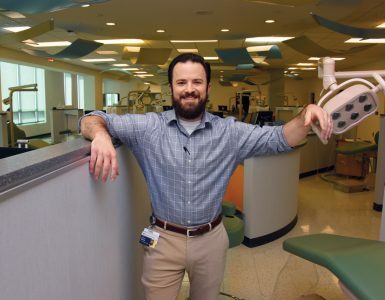 “And that to us is just spectacular,” says Brian, who plans a career in oral surgery.